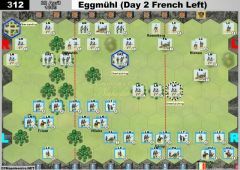 Played this last night against Badger. 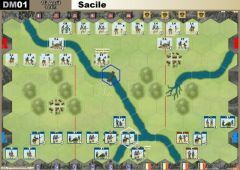 As the French I, of course left the hill and attacked. 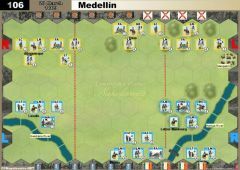 I had 2 Counter Attackes to start and figured that as he responded to my attack I could counterattack and keep driving forward. Alas he had very little centre response. 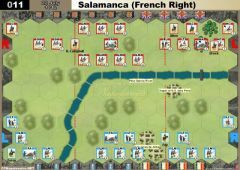 The battle probably turned early when my Light Cav on the flank attacked the Portuguese Line only to have them first strike and get 4 cav hits!! After that there was a bit of back and forth with the Brits edging ahead 5 to 3. I did get Wellesley though. Last edit: 8 years 1 month ago by Freeloading-Phill. 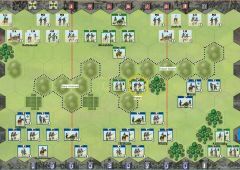 It was two very exciting iterations of the first scenario of C&C: Napoleonics (though only the one above has been immortalized so far), and we both thoroughly enjoyed it. 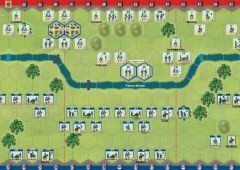 Somehow, it was also fitting that two seasoned C&C: Ancients generals would end their first conflict in the Napoleonic wars in a draw. Interestingly, both battles featured very different ideas and execution. 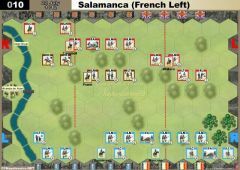 Whereas the key to my own victory as the French was to exploit the mobility and shock value of my cavalry against the weaker Portuguese elements, Mikkel focused on the Frenchmen’s superior melee capabilities by charging the British centre. 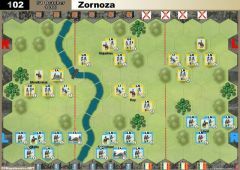 In the end of our second battle, I only snatched the necessary 2nd banner for the draw by using my Portuguese troops to seize one of the objective tiles. 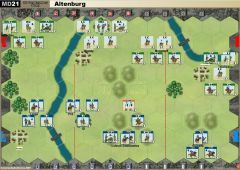 All in all, this game is amazing, and the tactical choices and possibilities are incredibly fun and engaging, capturing the historic period in thrilling manner without being overly complex. Needless to say, I can’t wait for more! 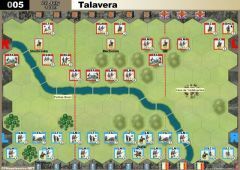 I think you are missing a leader, (Trant) with the Portuguese cavalry in your initial set up? Could anyone help with the following question. 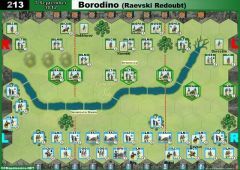 In the rulebook it is clearly desribed that units can not move through the river without a bridge or passing. 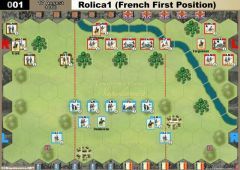 Does it mean that in Rolica scenario left flank of the British forces should stay behind the river? Thanks in advance. • The entire river is fordable.